Last night I had a conversation with my big sister about life and the utmost importance of taking a lesson from every experience- I've been running around in a slight panic the last week-the date on the calendar forces me to recognize that yet another year is on its way out- I'm sure I'm not the only one who feels this way. My big sister has always taken such care of me and my 4 siblings. Last night was no different, she listened to my woes and gave me wonderful insight on life's adventures to come. This morning, while drinking my tea, I stumbled upon this photograph, it was taken outside the house where we grew up. 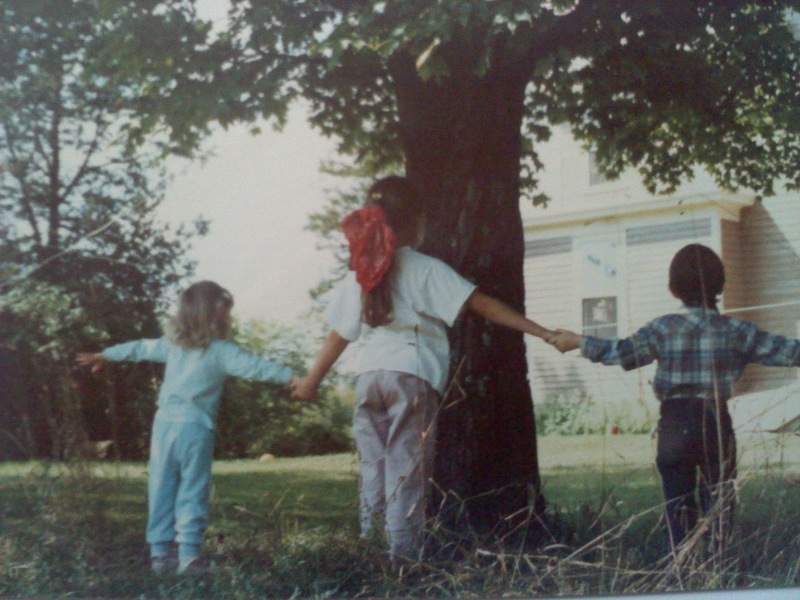 I'm on the left, with my big sister and oldest brother. In an instance I am flooded with memories of the past, of lessons learned, some easily, others fantastically difficult. I become more aware everyday that through it all, I was lucky to have had my "home"-my family. That old phrase now holds such meaning- home is where the heart is- and that is with my family. So, as this year says its goodbyes through a wonderful list of festivities, thanks, generosity and celebration I will celebrate the future, because we got through the past! To my family- I love you more and more with each passing hour of every day. Where did you find that picture????? It yanks at my heart strings! How did those years fly past me - it was just yesterday that you kids were that little??? I do love you my Darling!!! I am not just ONE thing, neither is this blog. I write to remember where I've been and to share my stories with my friends.